Not counting customer feedback in the mobile business is like driving at low speed on the highway. However, while speeding up, some rules ought to be observed. Here are three tips to help developer work with customer feedback to avoid common pitfalls. Every customer’s voice is supposed to matter. But right here the first pitfall might turn up. If you analyze feedback from the whole scope of your customers simultaneously, the primary aim of the survey might not always be achieved. For instance, you want to find out why your customer does not use some particular service – so interview only those who gave up using this service. Moreover, every customer has a combination of personal skills as well as his own insight into the app problems. It also stands for the fact that if every feedback is treated in the same way it can be rather misleading for survey results. Our tip: on the one hand, split customers into segments depending on the aim of your investigation. On the other hand, any feedback from the customer is rather an opportunity to look at the issue from a different perspective and come up with the solution which would satisfy both you and your customer, than a call to blindly develop a new feature. Needless to say that service is polished with the help of customer feedback. But while handling it a pitfall might arise as well. The biggest issue is to fail to regularly ask for user feedback. It might result in the situation when the product requires urgent improvement but the information from users comes at the wrong time, or just when it is only you who initiates a dialog, and eventually you have to wait for the reply. Our tip: carry out customer surveys regularly. One of the ways is to ask the customer to send their suggestions, for example, on some certain days of product use. Luckily modern services allow for such settings. The minority is unlikely to beat majority. Once you received a few requests to change, for example, chat setting in your app another pitfall is on the watch for you. You might be in a rush to implement some unnecessary changes just to satisfy some minor feedbacks. But first, you need to find out if this minority really shows the overall opinion of all users of this app. Our tip: take your time, as every user suggestion should be tested. In-depth analysis is highly recommended before implementing the proposal stage. 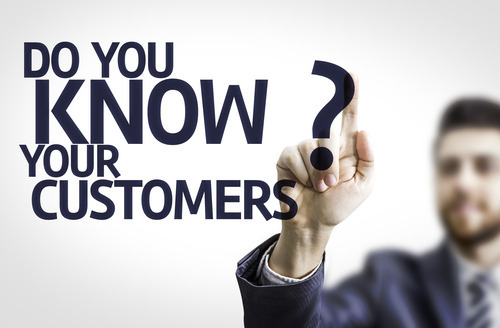 So, we hope these little tips will help you to listen to your customer more sensibly.